Professor Smith joined Southampton University in 2011 as the first Director of the new Institute for Life Sciences. The Institute aims to catalyse interdisciplinary research working at the interfaces between medical/health and biological sciences with the physical sciences, mathematics and engineering. 2011-present: Director. Institute for Life Sciences (IfLS), University of Southampton, UK. 2011-present: Professor of Life Sciences. Faculty of Environmental and Life Sciences, University of Southampton, UK..
2011-present: Whitman Investigator. Marine Biological Laboratory, University of Chicago, UK. 2013-present: Visiting Fellow, Marine Biological Association, Plymouth, UK. 2008-2011: Director. Cellular Dynamics Program, Marine Biological Laboratory (MBL), USA. 2008-2011: Adjunct Professor of Engineering (Research). Brown University, RI. 2002-2008: Director. Molecular Physiology Program, MBL, USA. 1999-2011: Senior Scientist, MBL, USA. 1996-2011: Director and Principal Investigator. NIH BioCurrents Research Center, MBL. 1994-1996: Director and PI. NIH National Vibrating Probe Facility, MBL. 1992-1993: Co-Director. NIH Nat’l Vibrating Probe Facility, MBL, USA. (With L. F. Jaffe). 1992-1999: Associate Scientist. MBL, USA. 1990-1991: Senior Scientific Officer and Lab. Leader. AFRC Laboratory of Molecular Signalling, Dept. of Zoology, University of Cambridge and the Babraham Research Institute, UK. 1987-1990: Higher Scientific Officer. AFRC Unit of Insect Neurophysiology and Pharmacology, Dept. of Zoology, University of Cambridge, UK. 1986-1991: Fellow and Director of Studies in Natural Sciences. Sidney Sussex College, Cambridge, UK. 1985-1987: Leverhulme Research Fellow, University of Cambridge. Dept. of Zoology, Cambridge, UK. 1982-1984: Research Associate. University of Cambridge, Dept. of Zoology, Cambridge, UK (With J. E. Treherne). 1979-1982: Research Associate. University of Manchester, UK. (With D.M. Guthrie). 1991: MA Neurosciences. University of Cambridge, UK. 1976-1979: PhD Comparative Cardiovascular Physiology. University of Aberdeen, Scotland. 1972-1976: BSc Zoology (1st Class). University of Aberdeen, UK. Using both molecular and electrochemical techniques this research examines the dynamics of mitochondrial function in normal and diseased cells. I am also interested in further developing micron proportioned amperometric sensors to map oxygen profiles around single identified cells. With postdoctoral researcher Dr John Findlay. 2015 Eleni Georgiades: Characterisation of a new mitochondrial potassium channel, K2P15.1. BBSRC With Maurits De Planque (UoS: Electronic and Computing Science) and Ita O’Kelly (Enterprise). In collaboration with researchers in the Optoelectronics Research Centre I’m working on developing a novel method for super-resolution imaging of unlabelled living cells. The technique fuses the principles of the super-oscillating lens with an advanced form of polarised microscopy. And investigators Prof Nikolay Zheludev (ORC), Prof John Chad, and Dr Tracey Newman (Medicine). External advisory Dr Rudolf Oldenbourg, MBL and Univ. of Chicago. Collaborating with chemists Richard and Linda Brown as well as Phil Bartlett we are designing activated nanoscale substrates with tethered sensors to return ion activity with nanodimension spatial information. The goal is to generate cell compatible surfaces reporting, in real time, the changes in boundary layer ion activity. We’re currently targeting hydrogen and potassium ions. 2014 Victor Lethuillier, Chemistry: Imaging substrates for monitoring the diffusive boundary layer of living cells. With Phil Bartlett, Richard Brown and Linda Brown (UoS: Chemistry). Collaborating with Prof Colin Brownlee of OES and the MBA Plymouth, I contribute expertise to the critical mechanistic understanding of membrane transport, cellular regulation and key physiological processes at the single cell level along with information on the microenvironment that surrounds cells. We’re studying transport processes in phytoplankton, including the coccolithophores and their calcium carbonate deposition mechanism. This is an interdisciplinary programme that aims to create a powerful fusion of statistics, machine learning and topological data analysis able to deal with complex, heterogeneous, time-dependent multi-dimensional data sets. Our investigation will be informed by and tested on key problems in medicine and the sciences where the lack of appropriate analytic tools is now a major obstacle to progress. 2017-2018: Co-Applicant Confidence in Concept (PI Salim Khakoo) MRC award £224K. 2014-2016: Principal Investigator: Global Partnership Award 'Exploration of polarisation contrast in super-oscillatory imaging' – with the Marine Biological Laboratory, University of Chicago. £4,695. 2013-2014: Co-Investigator on Southampton Imaging: 3D Imaging at millimetre to nanometre scales for regenerative medicine using multiple complimentary modalities. With Richard Oreffo (PI) Medicine, Anton Page (Medicine), Peter Lackie (Medicine), Ian Sinclair (Engineering). MRC Award £1.171M - Capital Equipment for Regenerative Medicine. 2013-2014: Co-Investigator on EPSRC Laser-printable point-of-care sensors for low-cost medical diagnosis and disease monitoring. Principal Investigator, Prof. Robert Eason, Optoelectronics Research Centre, Co-Investigators Dr Spiros Garbis Cancer Sciences, Dr Saul Faust Medicine, Researcher-Co-Investigator Dr Collin Lawrence. £186K (EPSRC). Maria Strickland: Cellular metabolism and regulation of mitochondrial efficiency - healthy ageing across the life course. With primary supervisor Sylvia Pender and David Johnson (UoS: Medicine) and Anis Larbi (A*STAR. Funded by A*Star and Vice Chancellors Award. Eleni Georgiades: Characterisation of a new mitochondrial potassium channel, K2P15.1. With Maurits De Planque (UoS: Electronic and Computing Science) and Ita O’Kelly (Enterprise). Funded by BBSRC (O’Kelly). Victor Lethuillier: Imaging substrates for monitoring the diffusive boundary layer of living cells. With Phil Bartlett, Richard Brown and Linda Brown (UoS: Chemistry). Funded by Internal. Friedrich Kleiner: The molecular mechanisms of signal transduction in unicellular algae. With primary supervisor Colin Brownlee. Funded by ERC (Brownlee). The principal aim of this project is to demonstrate sensing in the extracellular/intercellular space using functionalized quantum dots. Spatial and temporal information on intercellular concentrations will allow us to study how analyte concentrations in the EICS are linked to physiological status. This project seeks to combine electrophysiological and oxygen flux detection techniques to examine alterations in metabolism and synaptic functioning in health and disease. Alavian, K. N., Dworetzky, S. I., Bonanni, L., Zhang, P., Sacchetti, S., Mariggio, M. A., ... Jonas, E. A. (2012). Effects of dexpramipexole on brain mitochondrial conductances and cellular bioenergetic efficiency. Brain Research, 1446, 1-11. Smith, J., Morgan, J. R., Zottoli, S. J., Smith, P. J. S., Buxbaum, J. D., & Bloom, O. E. (2011). Regeneration in the era of functional genomics and gene network analysis. Biological Bulletin, 221(1), 18-34. Pethig, R., Jakubek, L. M., Sanger, R. H., Heart, E., Corson, E. D., & Smith, P. J. S. (2005). Electrokinetic measurements of membrane capacitance and conductance for pancreatic -cells. IEE Proceedings - Nanobiotechnology, 152(6), 189-193. Bogorff, D. J., Messerli, M. A., Malchow, R. P., & Smith, P. J. S. (2003). Development and characterization of a self-referencing glutamate-selective micro-biosensor. Biological Bulletin, 205(2), 207-208. Amaral Zettler, L. A., Messerli, M. A., Laatsch, A. D., Smith, P. J. S., & Sogin, M. L. (2003). From genes to genomes: beyond biodiversity in Spain's Rio Tinto. Biological Bulletin, 204(2), 205-209. Molina, A. J. A., Hammar, K., Sanger, R., Smith, P. J. S., & Malchow, R. P. (2003). Intracellular release of caged calcium in skate horizontal cells using fine optical fibers. Biological Bulletin, 205(2), 215-216. Twig, G., Malchow, R. P., Hammar, K., Smith, P. J. S., Levy, H., & Perlman, I. (2002). A novel turtle retinal preparation for simultaneously measuring light-induced electrical activity and changes in metabolite levels. Biological Bulletin, 203(2), 198-200. Boudko, D. Y., Moroz, L. L., Linser, P. J., Trimarchi, J. R., Smith, P. J., & Harvey, W. R. (2001). In situ analysis of pH gradients in mosquito larvae using non-invasive, self-referencing, pH-sensitive microelectrodes. Journal of Experimental Biology, 204, 691-699. Kumar, S. M., Porterfield, D. M., Muller, K. J., Smith, P. J. S., & Sahley, C. L. (2001). Nerve injury induces a rapid efflux of nitric oxide (NO) detected with a novel NO microsensor. Journal of Neuroscience, 21(1), 215-220. Smith, P. J., & Trimarchi, J. (2001). Noninvasive measurement of hydrogen and potassium ion flux from single cells and epithelial structures. American Journal of Physiology: Cell Physiology, 280(1), C1-C11. Porterfield, D. M., Laskin, J. D., Jung, S-K., Malchow, R. P., Billack, B., Smith, P. J. S., & Heck, D. E. (2001). Proteins and lipids define the diffusional field of nitric oxide. American Journal of Physiology: Lung Cellular and Molecular Physiology, 281(4), L904-L912. Twig, G., Jung, S-K., Messerli, M. A., Smith, P. J. S., & Shirihai, O. S. (2001). Real-time detection of reactive oxygen intermediates from single microglial cells. Biological Bulletin, 201(2), 261-262. Jung, S. K., Hammar, K., & Smith, P. J. (2000). Development of self-referencing oxygen microsensor and its application to single pancreatic HIT cells: effects of adenylate cyclase activator forskolin on oxygen consumption. Biological Bulletin, 199(2), 197-198. Molina, A. J. A., Smith, P. J. S., & Malchow, R. P. (2000). Hydrogen ion fluxes from isolated retinal horizontal cells: modulation by glutamate. Biological Bulletin, 199(2), 168-70. Gleeson, R. A., Hammar, K., & Smith, P. J. (2000). Sustaining olfaction at low salinities: mapping ion flux associated with the olfactory sensilla of the blue crab Callinectes sapidus. Journal of Experimental Biology, 203(20), 3145-3152. Breton, S., Nsumu, N. N., Galli, T., Sabolic, I., Smith, P. J., & Brown, D. (2000). Tetanus toxin-mediated cleavage of cellubrevin inhibits proton secretion in the male reproductive tract. American Journal of Physiology: Renal Physiology, 278(5), F717-F725. Katoh, K., Hammar, K., Smith, P. J. S., & Oldenbourg, R. (1999). Birefringence imaging directly reveals architectural dynamics of filamentous actin in living growth cones. Molecular Biology of the Cell, 10(1), 197-210. Land, S. C., Porterfield, D. M., Sanger, R. H., & Smith, P. J. (1999). The self-referencing oxygen-selective microelectrode: Detection of transmembrane oxygen flux from single cells. Journal of Experimental Biology, 202(2), 211-218. Porterfield, D. M., Trimarchi, J. R., Keefe, D. L., & Smith, P. J. (1998). Characterization of oxygen and calcium fluxes from early mouse embryos and oocytes. Biological Bulletin, 195(2), 208-209. Malchow, R. P., Verzi, M. P., & Smith, P. J. (1998). Extracellular pH gradients measured from isolated retinal cells. Biological Bulletin, 195(2), 203-204. Yamoah, E. N., Lumpkin, E. A., Dumont, R. A., Smith, P. J. S., Hudspeth, A. J., & Gillespie, P. G. (1998). Plasma membrane Ca2+-ATPase extrudes Ca2+ from hair cell stereocilia. Journal of Neuroscience, 18(2), 610-624. Breton, S., Hammar, K., Smith, P. J. S., & Brown, D. (1998). Proton secretion in the male reproductive tract: involvement of Cl--independent HCO-3 transport. American Journal of Physiology: Cell Physiology, 275(4), C1134-C1142. Smith, P. J. S. (1998). Review: Nervous System Regeneration in the Invertebrates. by Stacia B. Moffett. The Quarterly Review of Biology, 73(1), 108. Tamse, C. T., Hammar, K., Porterfield, D. M., & Smith, P. J. (1998). Transmembrane calcium flux in Pb+2-exposed Aplysia neurons. Biological Bulletin, 195(2), 201-202. Katoh, K., Langford, G., Hammar, K., Smith, P. J., & Oldenbourg, R. (1997). Actin bundles in neuronal growth cone observed with the Pol-Scope. Biological Bulletin, 193(2), 219-220. Malchow, R. P., Land, S. C., Patel, L. S., & Smith, P. J. S. (1997). Consumption of oxygen by isolated skate retinal photoreceptors. Biological Bulletin, 192(2), 231-232. Land, S. C., Sanger, R. H., & Smith, P. J. (1997). O2 availability modulates transmembrane Ca2+ flux via second-messenger pathways in anoxia-tolerant hepatocytes. Journal of Applied Physiology, 82(3), 776-783. Brown, D., Smith, P. J., & Breton, S. (1997). Role of V-ATPase-rich cells in acidification of the male reproductive tract. Journal of Experimental Biology, 200(2), 257-262. Knox, R. J., Jonas, E. A., Kao, L. S., Smith, P. J., Connor, J. A., & Kaczmarek, L. K. (1996). Ca2+ influx and activation of a cation current are coupled to intracellular Ca2+ release in peptidergic neurons of Aplysia californica. Journal of Physiology, 494(3), 627-639. Pelc, R., Smith, P. J. S., & Ashley, C. C. (1996). In vivo recording of calcium fluxes accompanying 'catch' contraction of molluscan smooth muscle. Journal of Physiology, 497.P, 41-41. Malchow, R. P., & Smith, P. J. S. (1996). Ion fluxes from skate retinal horizontal cells measured using self-referencing ion-selective electrodes. Biological Bulletin, 191(2), 261-262. Kuzirian, A. M., Child, F. M., Epstein, H. T., Smith, P. J. S., & Tamse, C. T. (1996). Lead affects learning by Hermissenda crassicornis. Biological Bulletin, 191(2), 260-261. Devlin, C. L., & Smith, P. J. S. (1995). Acetylcholine-induced Ca2+ flux across the sarcolemma of an echinoderm smooth muscle. Biological Bulletin, 189(2), 207. Smith, P. J., Hammar, K., & Tytell, M. (1995). Effects of exogenous heat shock protein (hsp70) on neuronal calcium flux. Biological Bulletin, 189(2), 209-210. Keefe, D., Pepperell, J., Rinaudo, P., Kunkel, J., & Smith, P. J. S. (1995). Identification of calcium flux in single preimplantation mouse embryos with the calcium-sensitive vibrating probe. Biological Bulletin, 189(2), 200. Land, S. C., & Smith, P. J. (1995). Suppression of Ca2+ flux during the transition to anoxia in turtle hepatocytes revealed by a non-invasive Ca(2+)-selective vibrating probe. Biological Bulletin, 189(2), 228-229. Hill, S. D., Shipley, A. M., & Smith, P. J. (1994). Ionic fluxes during wound healing following segment amputation in sabellid fanworms. Biological Bulletin, 187(2), 253-254. Tamse, C. T., Smith, P. J., Aloulou, A., Epstein, H. T., & Kuzirian, A. M. (1994). Lead toxicity in Hermissenda crassicornis embryos and cultured neurons. Biological Bulletin, 187(2), 251-252. Yamoah, E., & Smith, P. J. (1994). Second messenger modulation of steady-state calcium efflux in Aplysia bag cells. Biological Bulletin, 187(2), 270. Kunkel, J. G., & Smith, P. J. (1994). Three-dimensional calibration of the non-invasive ion probe, NVP(i), of steady ionic currents. Biological Bulletin, 187(2), 271-272. Duthie, G. G., Shipley, A., & Smith, P. J. S. (1994). Use of a vibrating electrode to measure changes in calcium fluxes across the cell membranes of oxidatively challenged Aplysia nerve cells. Free Radical Research, 20(5), 307-313. Pierson, E. S., Smith, P. J. S., Shipley, A. M., Jaffe, L. F., Cresti, M., & Hepler, P. K. (1993). Ca2+ fluxes around pollen grains and pollen tubes of Lily; Normal development and effects of thermal shock, BAPTA-type buffer microinjection and depletion of boric acid from the medium. Biological Bulletin, 185(2), 302-303. Hill, S. D., Shipley, A. M., & Smith, P. J. S. (1993). Endogenous currents during wound healing and regeneration in Sabellid Fanworms. Biological Bulletin, 185(2), 303-304. Newland, N. L., Smith, P. J. S., & Howes, E. A. (1993). Regenerating adult cockroach dorsal unpaired median neurones in vitro retain their in vivo membrane characteristics. Journal of Experimental Biology, 179(1), 323-329. Smith, P. J. S., Duthie, G. G., Shipley, A., & Tytell, M. (1993). Steady-state calcium efflux from aplysia neurons: Perturbation by H202 and protection by stress protein, HSP70. Biological Bulletin, 185(2), 293-294. Miller, A. L., Smith, P. J. S., Rainville, C. A., Shimomura, O., Strumwasser, F., & Jaffe, L. F. (1991). Imaging free calcium in cultured aplysia bag cell neurons. Biological Bulletin, 181(2), 325. Howes, E. A., Cheek, T. R., & Smith, P. J. S. (1991). Long-term growth in vitro of isolated, fully differentiated neurones from the central nervous system of an adult insect. Journal of Experimental Biology, 156(1), 591-606. Smith, P. J., Howes, E. A., & Treherne, J. E. (1990). Cell proliferation in the repairing adult insect central nervous system: incorporation of the thymidine analogue 5-bromo-2-deoxyuridine in vivo. Journal of Cell Science, 95(4), 599-604. Smith, P. J., & Shipley, A. (1990). Regional variation in the current flow across an insect blood-brain barrier. Journal of Experimental Biology, 154, 371-382. Wells, M. J., Duthie, G. G., Houlihan, D. F., Smith, P. J. S., & Wells, J. (1987). Blood flow and pressure changes in exercising Octopuses (Octopus Vulgaris). Journal of Experimental Biology, 131, 175-187. Smith, P. J., Howes, E. A., & Treherne, J. E. (1987). Mechanisms of glial regeneration in an insect central nervous system. Journal of Experimental Biology, 132, 59-78. Smith, P. J. S., & HILL, R. B. (1987). Modulation of output from an isolated gastropod heart: Effects of acetylcholine and FMRFamide. Journal of Experimental Biology, 127, 105-120. Smith, P. J. S., & HILL, R. B. (1986). Cardiac performance in response to loading pressures and perfusion with 5-hydroxytryptamine in the isolated heart of Busycon Canaliculatum (Gastropoda, Prosobranchia). Journal of Experimental Biology, 123, 243-253. Smith, P. J. S. (1985). Cardiac performance in response to loading pressures in Busycon Canauculatum (Gastropoda) and Mercenaria Mercenaria (Bivalvia). Journal of Experimental Biology, 119(1), 301-320. Smith, P. J. S., Duthie, G. G., Wells, M. J., & Houlihan, D. F. (1985). Short Communication: Continuous Recording of Arterial Blood PO2 in Octopus Vulgaris During Progressive Hypoxia and Movement. Journal of Experimental Biology, 117(1), 475-479. Wells, M. J., & Smith, P. J. S. (1985). The ventilation cycle in Octopus. Journal of Experimental Biology, 116, 375-383. Treherne, J. E., Smith, P. J., & Leech, C. A. (1984). Glial repair in an insect central nervous system: effects of selective glial disruption. Journal of Neuroscience, 4(11), 2698-2711. Smith, P. J., & Howes, E. A. (1984). Glial toxin effect on protein synthesis in an insect connective. Journal of Cell Science, 70, 83-92. Smith, P. J. S. (1982). The contribution of the branchial heart to the accessory branchial pump in the Octopoda. Journal of Experimental Biology, 98(1), 229-237. Smith, P. J. S. (1981). The role of venous pressure in regulation of output from the heart of the Octopus, Eledone Cirrhosa (Lam.). Journal of Experimental Biology, 93, 243-255. Messerli, M. A., & Smith, P. J. S. (2010). Construction, theory, and practical considerations for using self-referencing of Ca2+-selective microelectrodes for monitoring extracellular Ca2+ gradients. In M. Whitaker (Ed. ), Calcium in Living Cells (pp. 91-111). Elsevier. Messerli, M. A., Robinson, K. R., & Smith, P. J. S. (2006). Electrochemical sensor applications to the study of molecular physiology and analyte flux in plants. In A. G. Volkov (Ed. ), Plant Electrophysiology: Theory and Methods (pp. 4.1-4.5). Berlin, DE: Springer Verlag. Rogers, E., Quraishe, S., Chad, J., Newman, T., Zheludev, N., & Smith, P. J. S. (2017). New super-oscillatory technology for unlabelled super-resolution cellular imaging with polarization contrast. Paper presented at 61st Annual Meeting of the Biophysical Society, New Orleans, United States. Rogers, E., Quraishe, S., Yuan, G., Chad, J., Smith, P. J. S., Newman, T., & Zheludev, N. (2017). Optical super-oscillations: subwavelength single-photon focusing and unlabelled super resolution imaging. Paper presented at IEEE Photonics Conference (IPC), Orlando, FL, . Rogers, E., Quraishe, S., Chad, J., Newman, T., Zheludev, N., & Smith, P. J. S. (Accepted/In press). Super-oscillatory polarisation contrast microscopy. Poster session presented at Microscience Microscopy Congress, Manchester, United Kingdom. Rogers, E., Quraishe, S., Newman, T., Chad, J., Zheludev, N., & Smith, P. J. S. (2017). Unlabelled super-resolution imaging using polarisation-contrast super-oscillatory microscopy. Poster session presented at 19th IUPAB congress and 11th EBSA congress, Edinburgh, United Kingdom. Georgiades, E., De Planque, M. R. R., Smith, P. J., & O'kelly, I. M. (2016). Characterisation of a novel two pore domain potassium channel in mitochondria. Poster session presented at MitOX 2016, Oxford, United Kingdom. Georgiades, E., de Planque, M. R. R., Smith, P. J., & O'Kelly, I. M. (2015). Identification of a novel two-pore domain potassium channel in mitochondria. Poster session presented at 6th World Congress on Targeting Mitochondria, Germany. Katis, I. N., Holloway, J. A., Madsen, J., Faust, S. N., Garbis, S. D., Smith, P. J. S., ... Sones, C. L. (2014). Towards paper-based point-of-care diagnostics fabricated by Laser Induced Forward Transfer. Paper presented at E-MRS '14 Materials Research Society Spring Meeting, Lillers, France. 2017-present: Academic lead on the University of Southampton Life Sciences Strategy. 2017: Member (Biosciences) Innovation South Strategic Steering Committee. 2016-present: Member, DataScience@Southampton Board (Chair, Prof. Dame Wendy Hall). 2014-present: Member, REEG and USRGs - Southampton Neuroscience Group (Steering Group), Computationally Intensive Imaging (Steering Group), NAMRIP and MENSUS. 2015-present: Member, University of Southampton, Jubilee Group. 2012-present: Member, Joint Research Strategy Board, University of Southampton and University Hospital Southampton. 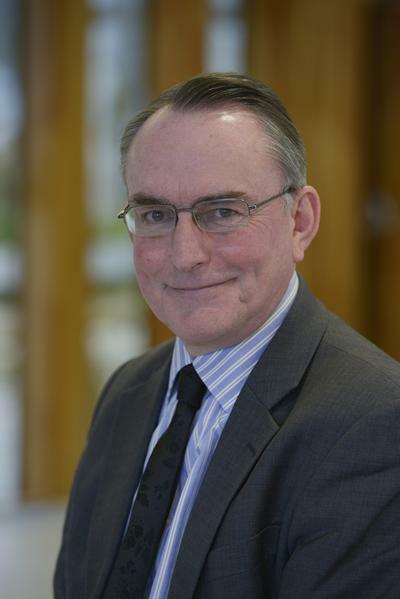 2012-present: Board Member, Zepler Institute, University of Southampton (Chair Prof. Sir David Payne). 2012-present: Member, Faculty Health and Safety review group. 2012-present: Chair, 2015 and Member, Health and Pharma, University Industrial Sector Team. 2011-present: Appointed Trustee, Southampton University representative, Board, Wessex Medical Research. 2011-present: Member, Faculty of Physical and Applied Sciences Faculty Research Committee. 2011-present: Member, Faculty of Medicine Research Management Committee. 2011-present: Member, Biological Sciences Research Management Committee. 2011-present: Member, Faculty Leadership Team and Faculty Executive Group, Faculty Environmental and Life Sciences, Univ. of Southampton. To better understand the regional ecosystem with regards to enterprises related to the life sciences I have instigated or led several pieces of work with local governments and the LEPs to audit life sciences commercial research activity. We are building a comprehensive map for the South Central region. An immediate result of the work has been the launch of a nationwide network revolving around various sector interests in orthotics and prosthetics – from clinic, through academia and enterprise, to the end user. The strength of these activities in the South Central region has led to the creation of a regional hub with international impact. 2016-2017: Co-awardee with Dr Alex Mant of Enterprise M3 LEP support for a scooping exercise to audit the regional life science enterprise activity. 2014-2015: Awarded: Solent LEP and WAHSN scooping exercise to audit the regional life science enterprise activity. 2013-2014: Awarded: Swindon and Wiltshire Local Enterprise Partnership: The development of a detailed evidence based business plan for the health life sciences sector in the Swindon and Wiltshire area. With Martin Stephens, Chief Executive, Wessex AHSN, Kevin Brooks, AHSN and Karl Simpson, UoS. 2016: Enterprise M3 and Solent LEP scoping meeting for the national enterprise audit – joint presentation with Royal Holloway on regional Universities’ Life Sciences portfolios. 2015: Solent LEP presentation on the life sciences audit and smart specialisations.